Buy 5 or more items and get FREE shipping! 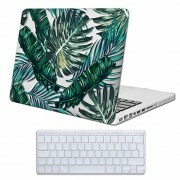 Warning: prices, links and product specifications for MacBook Pro 13 inch Case,iCasso Rubber Coated Hard Shell Plastic Protective Case Cover for Apple Laptop MacBook Pro 13 Inch with CD-ROM Drive Model A1278 with Keyboard Cover -Palm Leaves are submitted by our listed stores. Please notify us if you find any errors. Only on ShopMania you can choose from hundreds of online stores delivering in Johannesburg, Cape Town, Port Elizabeth, Pretoria, Pietermaritzburg, Polokwane, Durban and all over South Africa, and find the best deals for MacBook Pro 13 inch Case,iCasso Rubber Coated Hard Shell Plastic Protective Case Cover for Apple Laptop MacBook Pro 13 Inch with CD-ROM Drive Model A1278 with Keyboard Cover -Palm Leaves. Here you can compare mouse accessories offers, browse the MacBook Pro 13 inch Case,iCasso Rubber Coated Hard Shell Plastic Protective Case Cover for Apple Laptop MacBook Pro 13 Inch with CD-ROM Drive Model A1278 with Keyboard Cover -Palm Leaves photo gallery and find out all about its features. Read product reviews and comments from the users in ShopMania community, learn about the last-minute discounts and find the lowest MacBook Pro 13 inch Case,iCasso Rubber Coated Hard Shell Plastic Protective Case Cover for Apple Laptop MacBook Pro 13 Inch with CD-ROM Drive Model A1278 with Keyboard Cover -Palm Leaves prices available.